Dont be caught out with incorrectly inflated Tyres! Inflate Tyres Correctly for Safety and Fuel Economy. • Although there are plenty of garages and petrol stations that supply air pressure checking and filling facilities, you can often find that you have to queue or that the pumps are out of order by the time you have driven there. 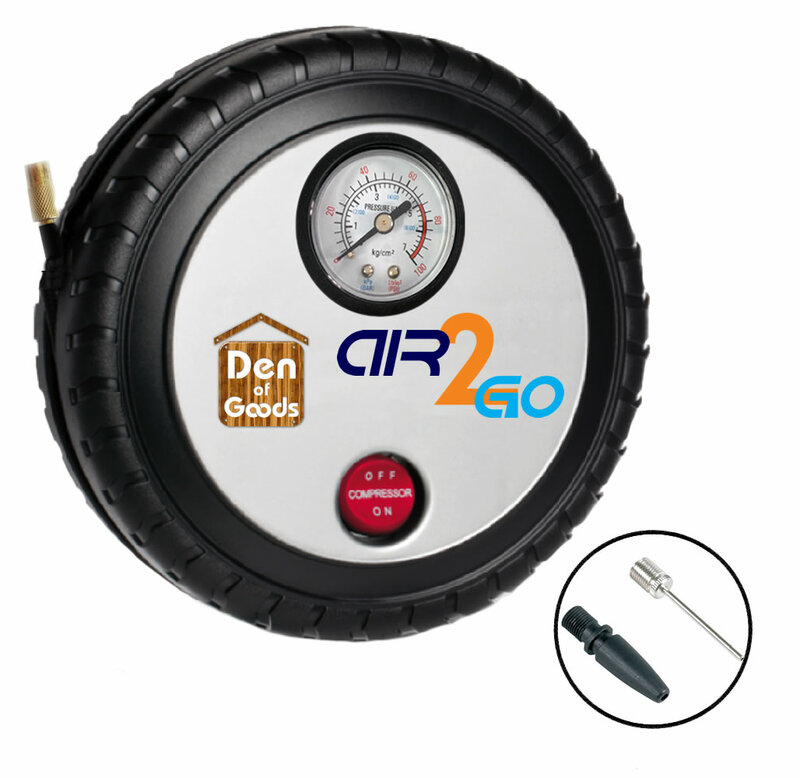 • The Air2Go Inflator has all the connectors and adapters that you will need to inflate not only your tyres, but also a wide range of other inflatables including balls and toys. • Easy readout which measures in both PSI and BAR. • It is small for easy storage and comes with a 12v vehicle electrics adapter allowing you to run it from your vehicle wherever you are without the need for mains power. • We are UK SELLERS and back up EVERY sale with a Full 100% Money Back No Quibble Lifetime Guarantee! 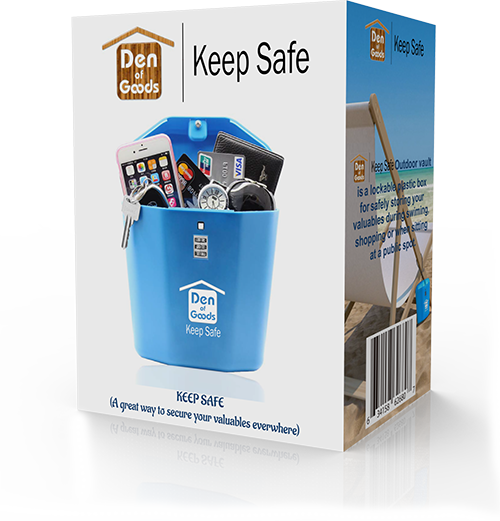 Keep Safe Portable Travel Vault Box For Beach - Car - Caravan - RV - Camping - Sports - Shopping in Fact anywhere you are on the move and need to keep your valuables Temporaraly secure. Favoured by many Graphic Designers, Artists, Students and Teachers for their vibrant colours and bold, solid lines. The Gel Pens use the exact same basic mechanism as roller-type ballpoint pens, but the ink inside the pens is thicker than standard ballpoint ink. The bright, varied inks used in these gel pens have additional properties for dynamic visual effects. 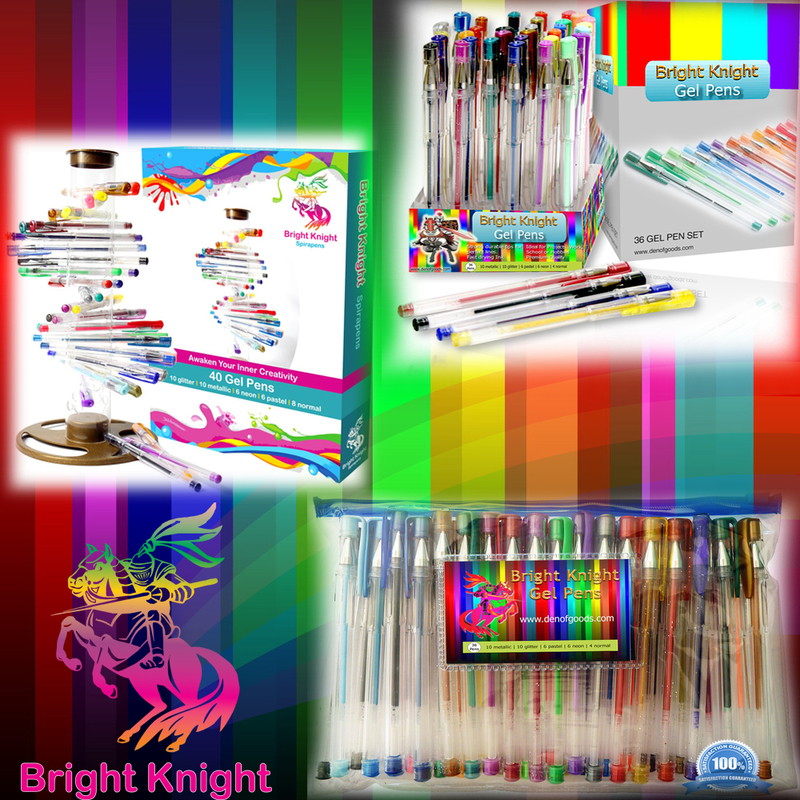 The Bright Knight Gel Pens are ergonomically designed to feel comfortable and give trouble free smooth writing and drawing. Non-contact Thermometers, Oximeters, Baby Monitors, Electric Toothbrushes, Dual Purpose Ear Thermometers, Blood Pressure Monitors – If you are reading this, chances are you are concerned about your own and your family’s health and wellbeing. Guess what? So are we, and that’s why we created the TempIR brand for Home Health Care Products. 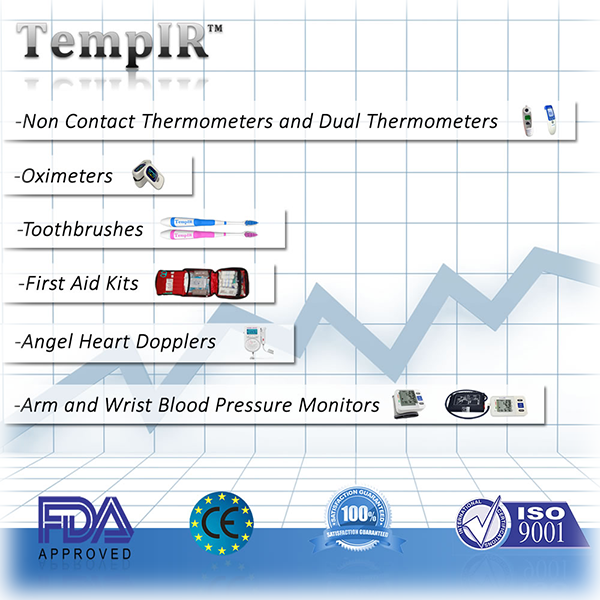 TempIR offers home family health care products at affordable prices, using the latest technology. 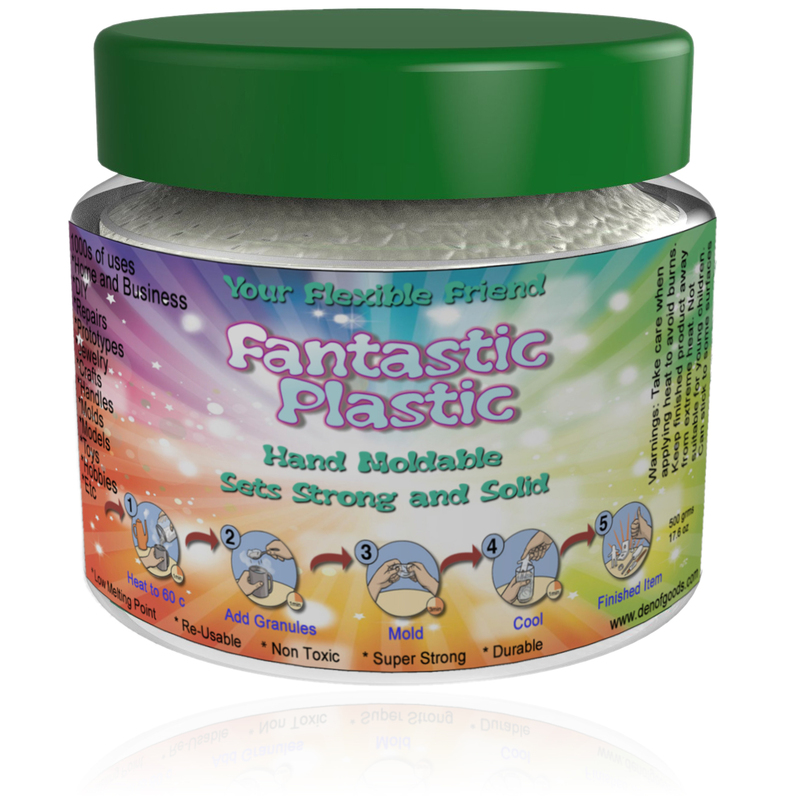 Fantastic Plastic™ is a moldable plastic called thermoplastic. This polymorph plastic is ideal for use in the home, workplace or garage.